Warning – this page contains spoilers. 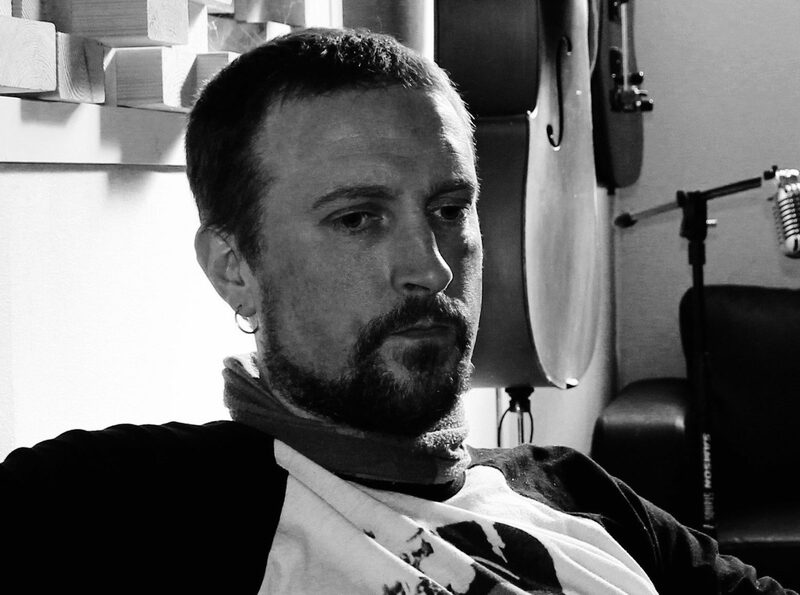 I have written five novels now, of which two have so far been published. Werewolf, my second book, will always occupy a special place in my heart as it was the first time I wrote outside the comfort zone of describing places and events I had (for the most part) actually seen or experienced. What follows is a collection of photographs and historical characters that actually inspired specific scenes in the book. Part of the enjoyment of writing is seeking out those interesting, recondite titbits of information which really help to make a book sparkle. With Werewolf, I set myself the task of finding out exactly what had occurred in the months directly after the German capitulation. 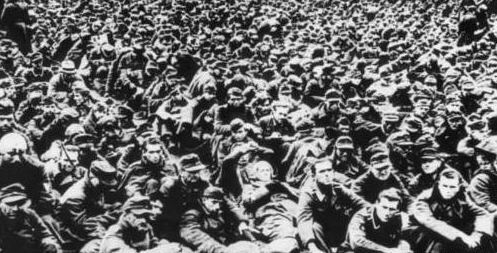 One of the first things to draw my attention was the fact that tens of thousands of German soldiers were bundled together in makeshift camps for weeks and months – often with little shelter – while the difficult process was undertaken of wheedling out who each soldier really was, and which of them had been involved in war crimes. This led to my wondering exactly how the Allies went about this process, which took me to the subject of the Fragebogen. All German adults were required to fill in this six-page questionnaire, which was designed to pinpoint exactly how deeply involved with the Nazi regime a particular person had been. 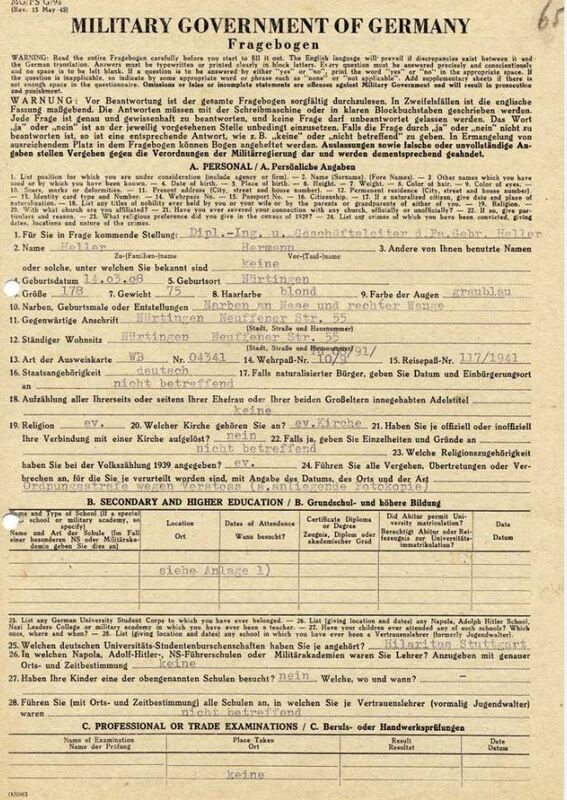 The results of these questionnaires were then compared with the extensive Nazi Party records the Allies had seized. Thanks to the internet, I was able to view all six pages of an actual Fragebogen, and it became a central thread to Werewolf’s plot. Booth scoffed. ‘Elite? They were the worst of the worst. Thieves and murderers, for the most part. I think they were originally made up of poachers, the idea being that they would hunt down partisans in the woods. In the end, though, they let all sorts of criminals join. History has afforded this Waffen SS unit a reputation for being one of the most brutal in the whole WWII German Army, which is quite something when you consider the competition they were up against. 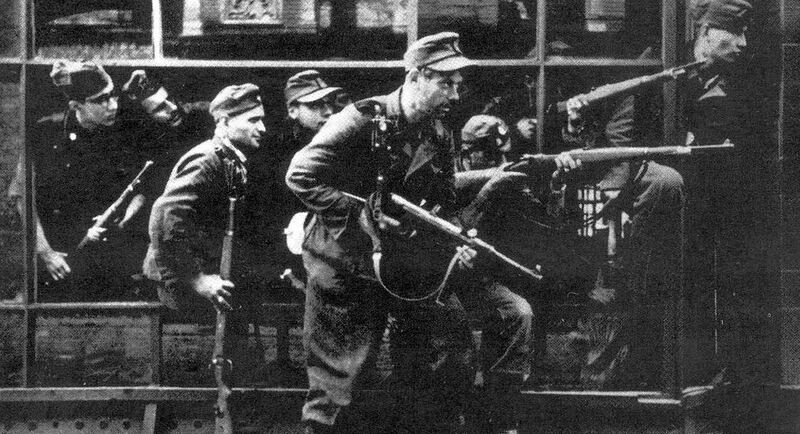 Although not strictly a penal battalion, they were initially composed of prisoners of mixed nationality drawn from concentration camps who had experience of forestry and/or poaching, with the idea that they would be able to track down bands of partisans in the depths of the forests. 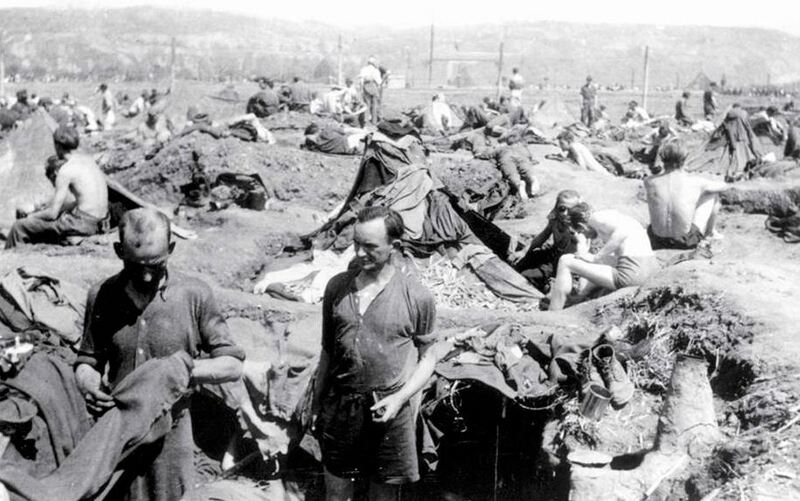 However, as the war dragged on, the Dirlewangers began to recruit all types of criminals and began to be used in “special actions” against civilian populations in Russia and Poland – with predictably dire consequences for the civilians. I first got the idea for using the Dirlewangers in Werewolf after watching a Russian film entitled Come and See, which ends with a truly upsetting cinematic depiction of what a visit from the Dirlewangers might have been like for people living in isolated villages. I stumbled across this photo while researching the book, and it haunted me for days afterwards. 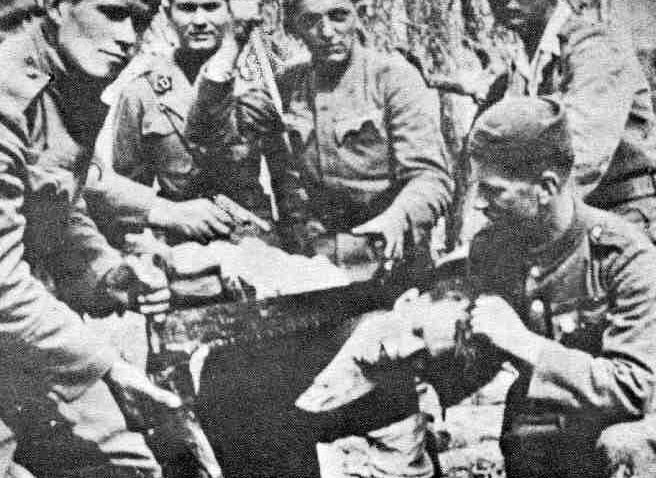 Although the men in this photo actually belong to the Croatian fascists, the Ustaša, I decided it was representative of the levels of inhumanity that occurred during the war in Eastern Europe and therefore described members of the Dirlewangers committing a similar atrocity. At first, I tried describing the scene actually occurring as a flashback during the novel, but quickly realised it wasn’t really something for which I wanted to conjure up the words. As a writer, I try to avoid depicting anything too gruesome, and when I do reference the darker sides of human violence, I keep the film Jacob’s Ladder firmly in mind, in the sense that a half-glimpse of something horrible is often far more powerful and evocative than gratuitous detail. It was never my intention to write a second book about serial killers, but when I stumbled across the story of this Frenchman, I knew I had to work it into the novel. 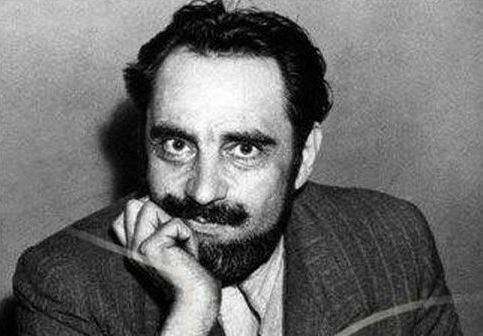 Everything the killer in Werewolf does is based upon Marcel Petiot. Anyone interested in reading more should seek out the book, Death in the City of Light by David King, which I drew upon when researching Werewolf. 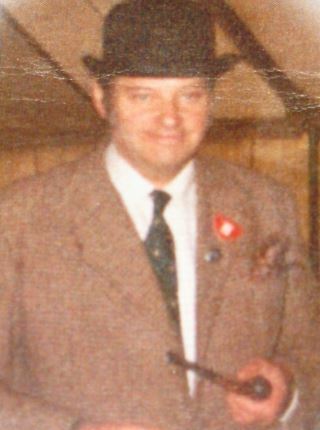 I met this gentleman as a young man working in a picture framing gallery. Mr Winter ran the estate agency next door and would occasionally stroll into the gallery and lambast us with his views on politics, the British Empire and the current state of the world. During one of his diatribes, he mentioned having done his national service in Germany just after the war and the problems they had had with “werewolves”. This particular booklet belonged to my step-mother’s father, who served with 30 Corps. 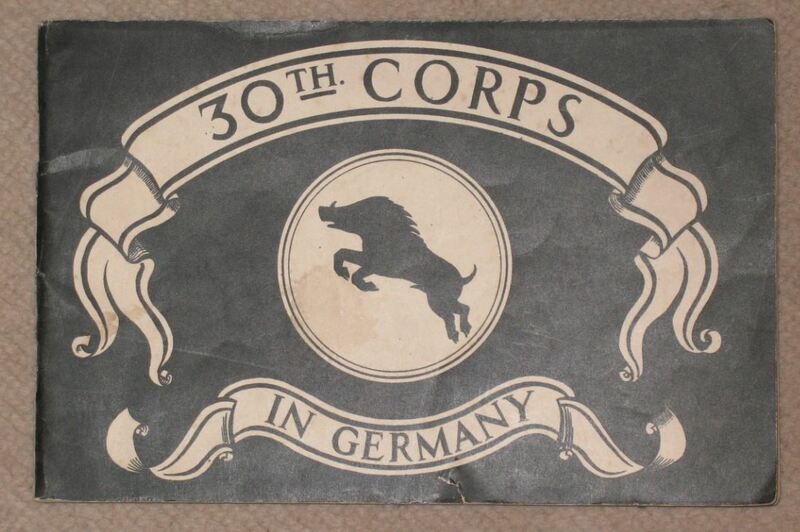 This was handed out after the war to the troops who were gearing up to occupy Germany for the (then) foreseeable future, and contains fascinating period detail, much of which I weaved into the backdrop of the book.